Nothing Improves the Flavor Like FREE! Sonja Brooks lives on a small farm in Pennsylvania in 1863. When her husband dies at Gettysburg, she struggles to take care of her farm alone. 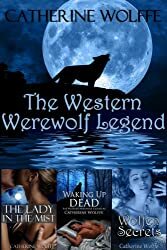 The unthinkable happens when she is attacked by wolves and her fate as a werewolf is sealed. When Ty Loflin, a Rebel soldier is mortally wounded in a battle near her home, Sonja does her best to save him. The attraction between them is blood born. Will he still want her once he knows the truth? So begins the Western Werewolves Legend. “Sonja wake up. Sonja, you’ve got to wake up now.” Ty shook her again, harder than before but still no response other than her moan. Her perspiration was so much, Ty went to the kitchen to fetch a damp cloth from the pitcher of cool well water on the counter. Something had to work. “She’s in a trance, my boy.” The voice startled him. Ty whirled around. He faced the old woman and growled low and fierce. “Where did you come from?” The hand he raked through his hair was fraught with tension. Hortence merely stood in the doorway, her tattered dress topped by her habitual shawl pulled tight against the night chill. Frantic, Ty yanked her inside. “Never mind that, she needs help. We were riding back from the creek. 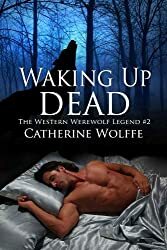 She slumped in the saddle.” With a quick yank, he pulled Hortence over to the bed. “She’s been like this for a while now. Can you help her?” He stared at the old woman as she drew close to the bed. Raising Sonja’s eyelid, she nodded. “There’s nothing that needs doing, my boy. She dreams.” The green agate stone in the ring the old woman wore glowed in the meager light. “Light a lamp. I will sit with her. “Sit with her?” At the moment, Tyler Loflin could have cheerfully choked the old hag. He certainly wasn’t worried about being polite. He didn’t want to admit, the old bird had scared the bejesus out of him either. That only added to his distress. She wasn’t going to do anything more for Sonja than ‘sit with her’, “You’ve got to be kidding me. You’re a witch, aren’t you? Isn’t there something you can do for her?” His voice raised an octave. “She’s dying!” He doubted he’d ever been more frightened in all his life. The surge of helplessness that swamped him had his knees buckling. “Indeed she is, Lad.” The old woman took a nobbled step and then another toward him. “Sonja sleeps the trance of the change.” She told him. “Tonight she will become one with the universe.” Beady eyes pierced him with their intensity. “Tis the way of things.” She glanced back at Sonja on the bed. “Do you know of what I speak?” Her wrinkled face bore a haunting resemblance to his great-grandmother as she asked the question. “Yours is a heritage, which, not only understands the wolf but reveres his power.” The old hag waited. Ty realized she made reference to his being half Choctaw. His ancestors taught all young Choctaw to respect the wild creatures of the land, especially the wolf. Still, Ty didn’t have time for her riddles. His patience wore thin. At that moment, he could have cheerfully torn his hair out by the roots if the act would have helped Sonja regain consciousness. “Look, I don’t know what you’re babbling about, but if you’re not going to try saving her, then get the hell out!” The words boomed with the anger building inside him. His eyes burned. Had it suddenly grown hotter in the tiny room? “Did you hear me? I said get out.” Ty’s lungs hurt, his head hurt, his heart felt as though it would spring from his chest. What are you waiting for – Get your copy today! Posted on June 11, 2018 June 11, 2018 Author cwolffeCategories Catherine WolffeTags civil war2 Comments on Nothing Improves the Flavor Like FREE! My friend, Teagan Geneviene is a master at creating fascinating worlds. I hope you’ll join me in her entertaining frolic through the Roaring Twenties done sideways. Here’s her latest post from Hullaba Lulu! J.T. 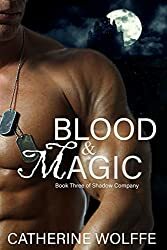 Leighton, ex-SEAL and vampire is the newest member of Shadow Company. 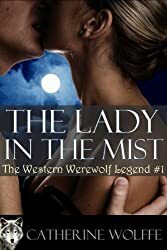 When Jessie Colter, his former lover shows up out of the blue needing their brand of assistance, he can’t resist her. Keeping his true identity a secret from her proves harder than he imagined. The Sultan kidnapped Jesse’s parents, and J.T. risks his dead life to help her get them back. His life is over – literally. J.T. is a vampire, and while he will live forever, he will never again know the affection of Jessie Colter. Her appearance in Cheniere Station is all the more difficult for J.T. because of the danger she is in and his inability to help. Finding the demon who stalks her will throw them together in a most agonizing position. What future can these two have? Will they find solace in the fight to rid the world of the Sultan or will the attraction between them become too much to face?